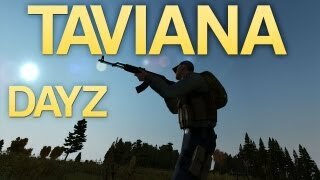 Welcome to DayZ Taviana.com. This site will serve as the central portal for development information, community interaction, and news related to the combination of the DayZ Mod & Martin Bauer's Taviana Island map. DayZ Commander is the easiest way to download and play DayZ Taviana. 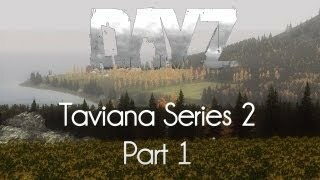 DayZ Bliss is the official DayZ Taviana server file set. Martin from Ripthrough Studios is the author of the Taviana map that DayZ Taviana is based on. All required server files are released immediately along with any client updates. Everyone, regardless of their chosen server setup, can run their own Taviana server. We work with the Bliss team to bundle the server files inside Bliss for maximum ease of use. We maintain this public facing project management portal as a singular place for reporting, tracking, and resolving issues. We do not have designs on changing the core functionality of DayZ within the scope of releasing the map port. 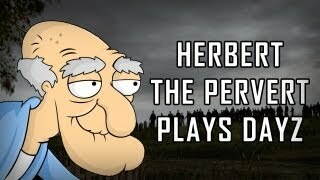 We intend to conform as much as possible to the existing DayZ Mod and Bliss core functionality. We do however have plans to make improvements that will be submitted directly to the DayZ and Bliss teams for their consideration and testing. We won't endorse or advertise any company or private hive in the splash screen, web site or anywhere else. We are careful to not take credit for the base map itself, which is the fine work of -Martin-. You can refuel at any petrol station using the "Refuel" option in the action menu. Refueling is much slower than the built in ARMA refueling, so you exposed and vulnerable while doing it. We're using the traditional DayZ player and helicopter crash spawn system, but we've tuned the placements. You can see spawn areas in this handy spawn area map. Players spawn on the south of the main island, away from the crashed helicopters on the northern part of the island, to try to bring back some of the feel of Chernarus. All the regular animals spawn. We've exhaustively gone through all of the custom buildings in Taviana and added loot where it makes sense. We've tested the loot table coordinates by forcing sample loot piles to appear in all possible positions while walking through the building to check them. Barracks now have loot inside the enterable hallways, and behind the unenterable buildings. They are now worth a visit. We've hidden loot spawns on top of some buildings and objects, including industrial loot on top of the large climbable tanks found in airports and industrial areas. The standard humanity and skin system has been kept. Humanity continues to work properly especially where a single player profile is shared across maps other than Taviana. There are no static, unenterable vehicles on the map that look like genuine vehicles. We've tried to work around some of the current map release issues. For example, a burnt out Ural is placed over the invisible wall in the Sabina tunnel to prevent surprise collisions with it. The C130J, unarmed HMMWV, and Ural Refueling trucks have been enabled. The class names are "C130J", "HMMWV", "HMMWV_DES_EP1", "UralRefuel_CDF", and "UralRefuel_INS". The Mi17 helicopters and the armed RHIB are not enabled. The server files included with Bliss come with a 300 vehicle spawn table, including the Little Bird, HMMWV's, refueling tricks and UH-1H's. By default, Bliss spawns a random subset of roughly 100 of these vehicles, and server administrators can use the standard Bliss method of adjusting vehicle spawn numbers. There are wind chime sounds in some smaller towns for atmosphere. It is important for server providers to understand the proper procedures when handling customers who want to run DayZ Taviana. You may not sell a server bundled with DayZ Taviana. If your customers want to convert their DayZ servers over to running the DayZ Taviana mod, they must install @Taviana themselves. 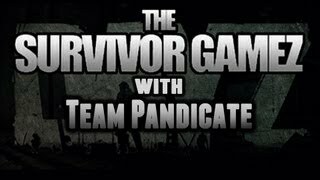 If you are entering, updating, or tracking bugs that you have encountered on either the test server, or any production DayZ Taviana server, please head over to the development page (linked at the top) for this information.